I’ve been keeping this secret for weeks and today is the day I can finally reveal… the best tasting brownies I have ever made are these Coconut Caramel Cookie Brownies! 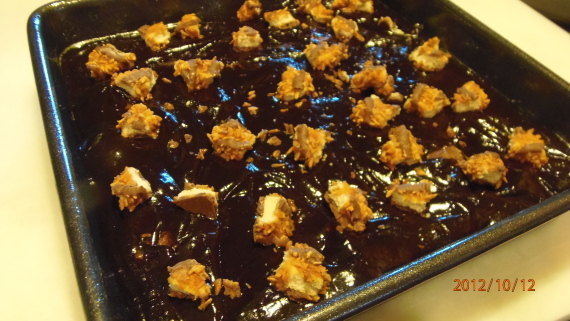 And they’re compliments of Ros and her recipe for Mint Oreo Fudge Brownies over at The More Than The Occasional Baker. Believe me, it was extremely hard to keep this secret!! I made these brownies a few weeks ago for the October challenge of Secret Recipe Club and had to keep it zipped until today, the reveal day! Thank you so much for sharing this recipe Ros. It truly was the best brownie EVER. I also enjoyed perusing your blog. You have so many wonderful sounding recipes that it took me quite awhile to settle on this one (but I’m so glad I did)! In order to make Ros’ recipe (because she is a food blogger from across the pond) I needed to use a conversion chart to change her recipe from grams to cups. In a few cases with some of the ingredients, I kind of needed to guess at the amounts because the conversions were just a little off with what I’m familiar with. I’m not quite sure why I had difficulties in doing this, but happily my “guesstimates” worked out just fine. Ros used mint Oreo cookies in her recipe. 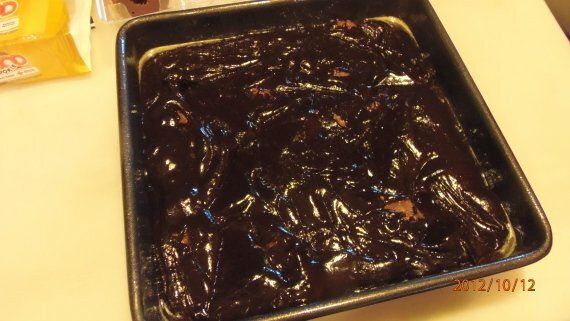 But what I love the most about these brownies is that you can use whatever cookie you like, so I set off to the store to see what looked good to me. 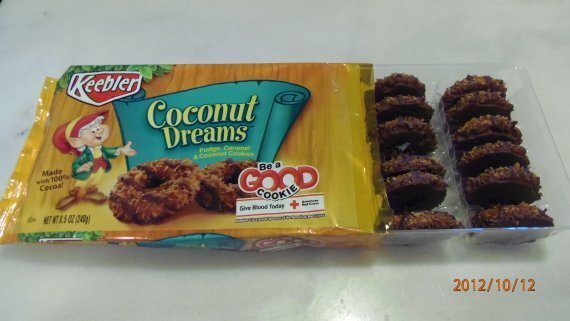 I settled on these because they reminded me of girl scout samoa cookies. Can you blame me? 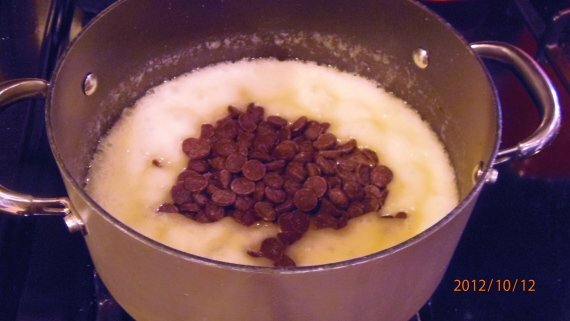 -In a large saucepan over low heat, melt the butter. 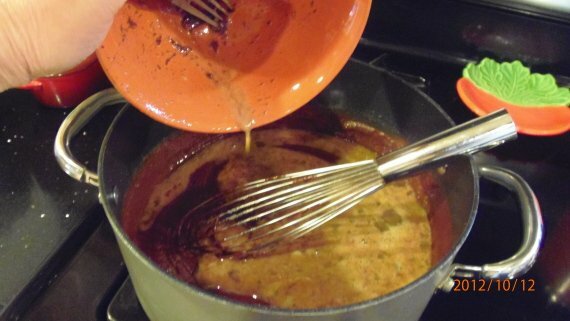 -Add the sugar and whisk to dissolve. 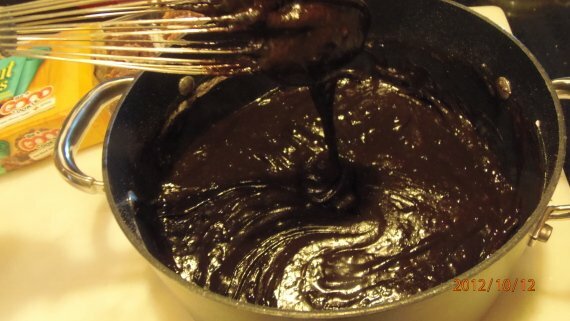 -Whisk in the chocolate to melt. -Add the salt and the vanilla extract. Stir. 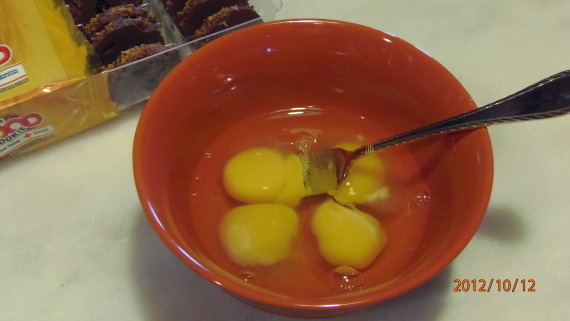 -In a small bowl, add the eggs and whisk to combine. 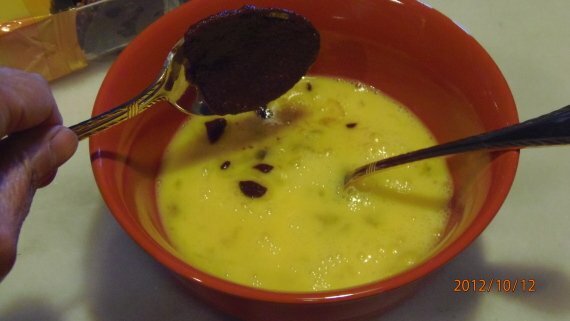 -Add a small amount of the melted chocolate mixture to the eggs (to temper the eggs) and stir. 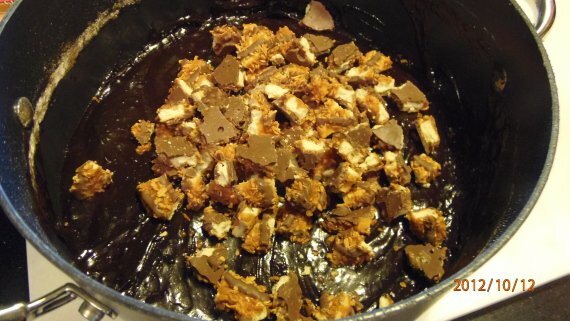 -Add the tempered egg mixture to the saucepan of the chocolate and stir well to combine. 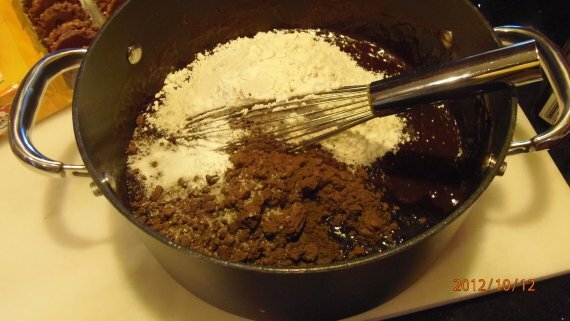 -Add the flour and the cocoa powder to the melted chocolate mixture and stir well to combine thoroughly. 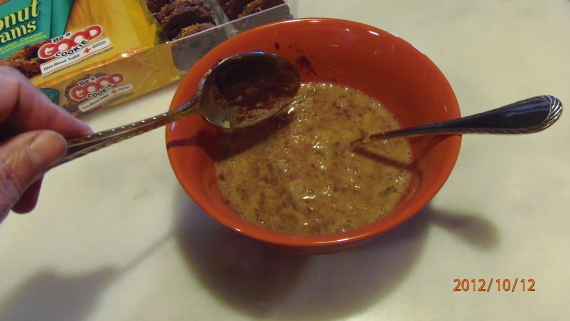 -Stir in 2/3 of the broken cookies, reserving 1/3 for the top. 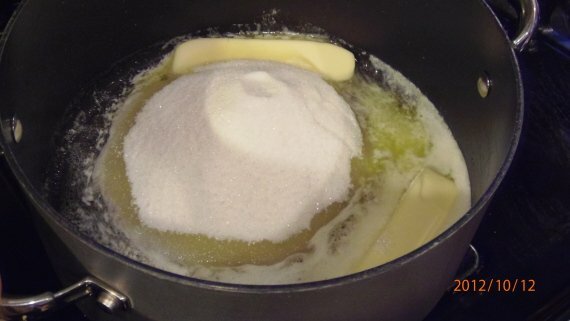 -Butter and flour a 8″ square pan. 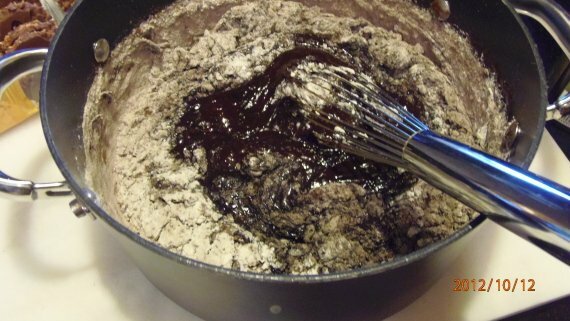 -Pour the brownie batter evenly into the prepared pan. -Top with the remaining broken cookies. -Bake in the preheated oven for approximately 35-40 minutes or until a toothpick inserted in the middle comes our fairly clean. -Cool completely on a wire rack and then slice and serve! 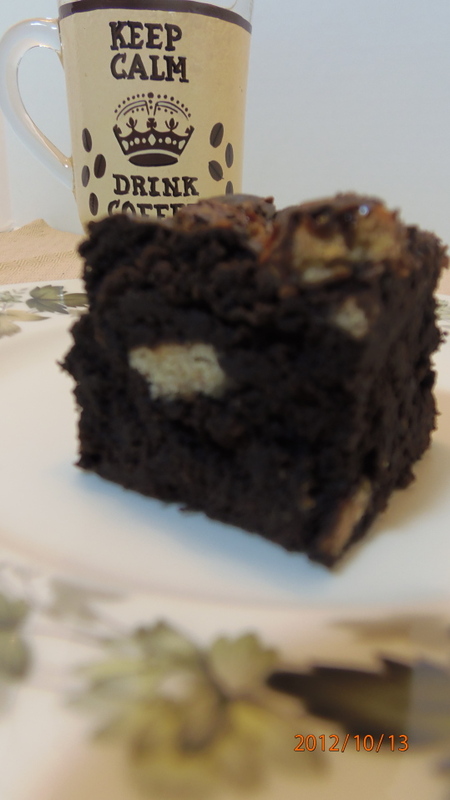 Now, go grab yourself a cup of coffee and a nice slice of brownie and enjoy!!! Yum….though since I don't like coconut, I'd probably go with the oreos. I had Ros's blog awhile back and loved it. Great choice. I'm a fellow group D'er! Ok, I seriously need to stop looking at the group D reveal for the night. I am drooling over all the goodies everyone made this month. 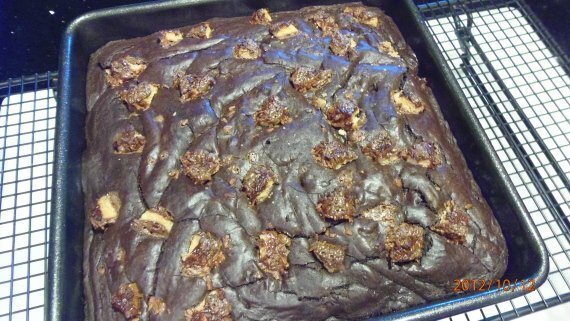 Your brownies turned out absolutely yummy looking. I'll have to try them soon. OMG ! Those are hypnotic. I can't get my eyes off all that chocolate. A great SRC pick. I loved all your baking prep pictures. The last one before the brownies are cooked is hypnotic!!! They look wonderful Renee. Yum!!! Looks so good..great SRC pick! Oh this looks so so delicious!